July 28, 2010 – The jury begins deliberations in the corruption trial of former Illinois Governor Rod Blogojevich, sooner than expected and without testimony from a number of witnesses, including Blogojevich himself. Assistant U. S. Attorney Reid Schar says, “This guy had more training in criminal background than the average lawyer and somehow this guy is the accidentally corrupt governor?” [Christian Science Monitor, July 28, 2010] One of Blagojevich’s attorneys, Sam Adam, Jr., says, “He’s got absolutely horrible judgment on people. And that’s the case and they want you to find him guilty of these horrible things because of that.” As they went through their closing arguments the opposing attorneys exhibited different styles with Adam “pacing, sweating and alternately shouting and whispering to the jury” while Schar “did not raise his voice throughout his argument,” which concluded with his saying, “I don’t know how you begin to put a price on the damage defendant Blagojevich has caused. 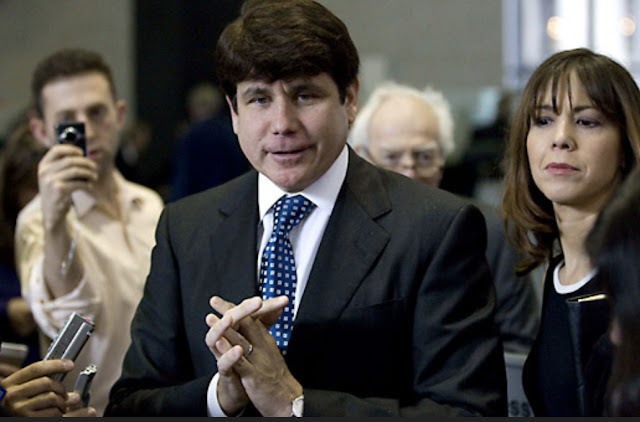 The time for accountability for the defendants is now.” On August 17 Blagojevich was convicted of one count of lying to federal agents while a mistrial was declared on the other 23 crimes with which he was charged because the jury could not agree on a verdict. A retrial was then set to begin on April 20, 2011. 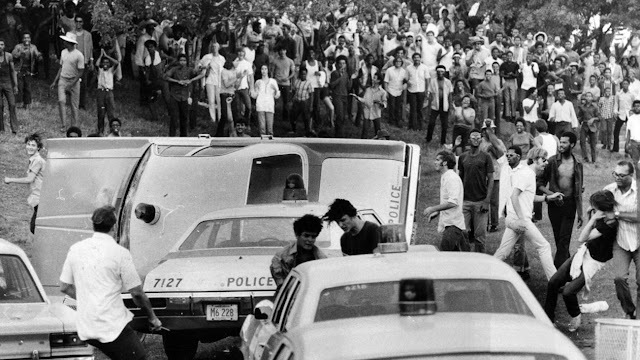 July 28, 1970: The day after a Grant Park riot occurred when a crowd of 35,000 to 50,000 waiting for a concert by Sly and the Family Stone reacted violently as the concert was delayed and ultimately cancelled, Mayor Richard J. Daley orders that all rock concerts planned by the Chicago Park District Board be cancelled. The mayor calls the fighting “A riot, a brawl, and mob action.” [Chicago Tribune, July 29, 1970] He continues, “There were a lot of liquor and wine bottles thrown at the policemen. I believe the young people who attend these concerts should assume some responsibility for policing themselves.” At least 162 persons are injured in the turmoil and hundreds of windows are broken all along Michigan Avenue opposite Grant Park as well as on some side streets between Michigan and State Streets. Damage to police vehicles is estimated at $10,000 with one car destroyed by fire. As the mayor reacts, three men and two women are arrested near the Grant Park band shell after a report that the performance venue will be set on fire. Police search the truck belonging to Mike Patrick of Brommel, Pennsylvania and find a five-gallon can of gasoline and one-fourth pound of marijuana, almost never a good combination.